Posted September 15, 2010 in Beautiful Dreamer, Darkseid, Infinity Man, Lanny Lathem. 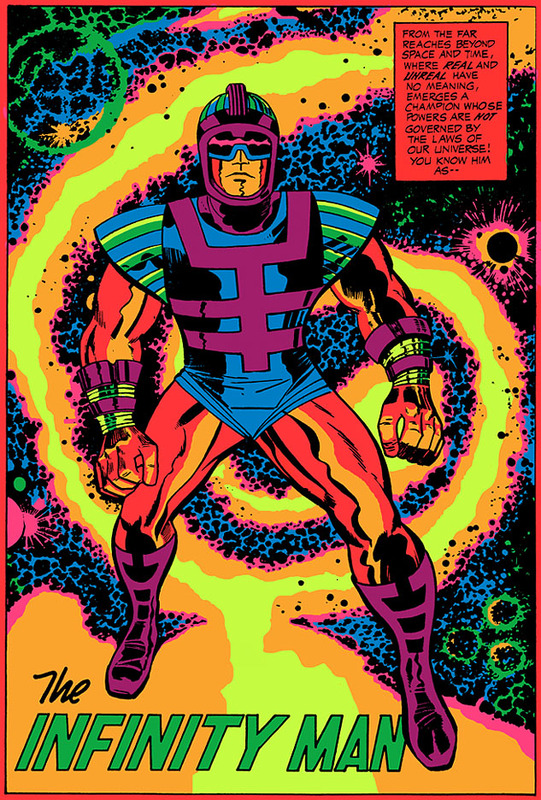 Graphic artist & art director Lanny Lathem expertly captures the phosphorus colour palette of the Marvel Third Eye posters using pin-ups created by Kirby during his tenure at DC Comics. You can find a gallery of the original “Black Light” posters here, lovingly collected by Nick Derington.